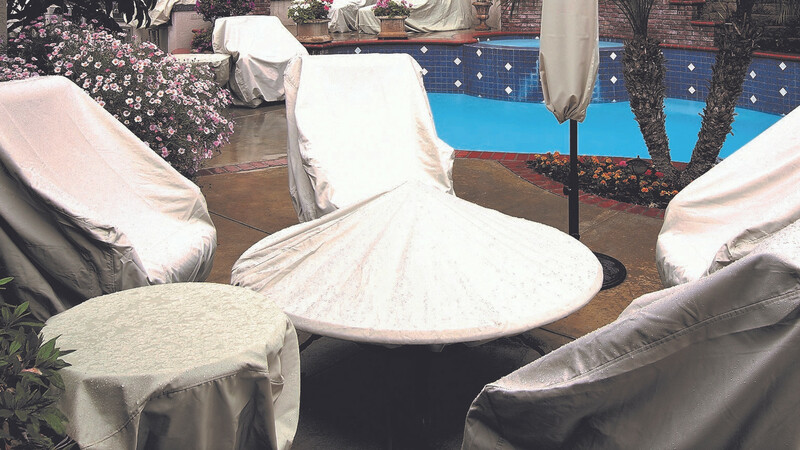 Pacific Patio Furniture offers outdoor patio furniture covers by Treasure Garden. These covers are made with RhinoWeave™, a durable, breathable and water-resistant fabric that will not crack or peel and is mildew and stain-resistant. The covers have sewn edges for superior strength and include a spring cinch lock for a snug, secure protective fit and convenient storage pouch. They come in a variety of sizes for deep seating, chaises, dining sets, modular seating, umbrellas and fire pits and are machine washable.